First, a good cocktail book. I picked up this fun one as a wedding gift for a co-worker. 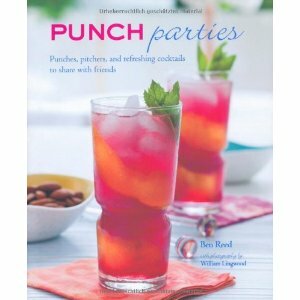 Punch Parties by Ben Reed shares all sorts of drink ideas. 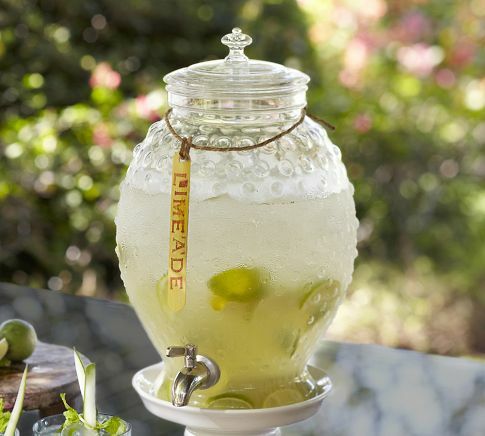 Whether it’s a cool Cosmopolitan Punch, a sophisticated Sangria Blanco or a tangy Mojito, there is nothing like a beautifully prepared drink to add flavor and festivity to any social occasion – or to provide a reason to celebrate! And with a large selection of non-alcoholic refreshers and tasty light bites to serve alongside, award-winning mixologist Ben Reed has created the perfect guide to hosting a truly unforgettable occasion. Second, you need a stylish dispenser for serving the drinks. They are everywhere in retail right now. I have four in my party pantry. 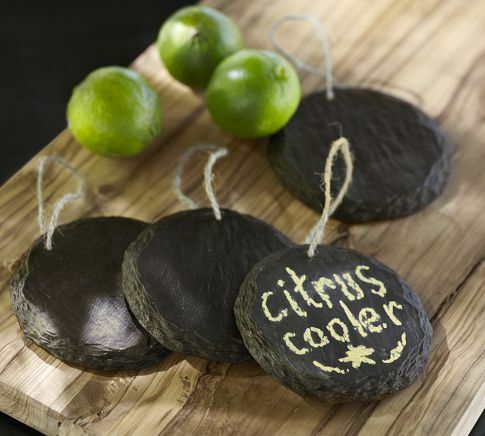 Line them all up on a serving table with lemonade, iced tea, sangria and margaritas. Something for everyone. Don’t just use them for dispensers (which is how they’re marketed at PB), use them to label your cheeses on a cheese board, hang on your front door to let your guests know the party is around back, or hang on a wine bottle with a sentiment as a hostess gift. The possibilities are endless. 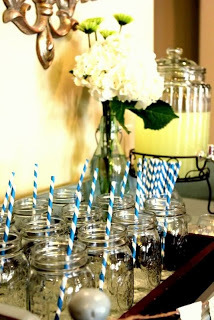 One day soon I will show you my own party pantry and the essentials every good hostess should have on hand. Cheers!